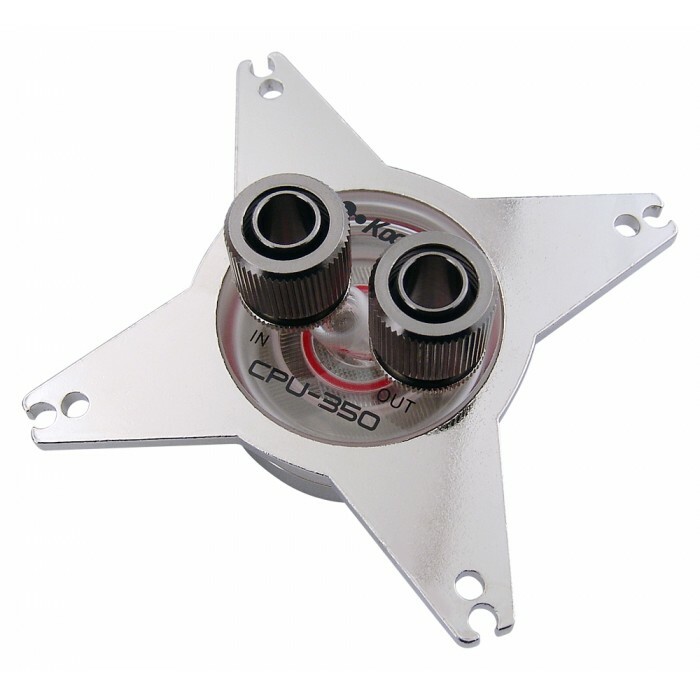 The high pressure CPU-350 is designed for loops dedicated to obtaining the lowest possible processor temperatures. 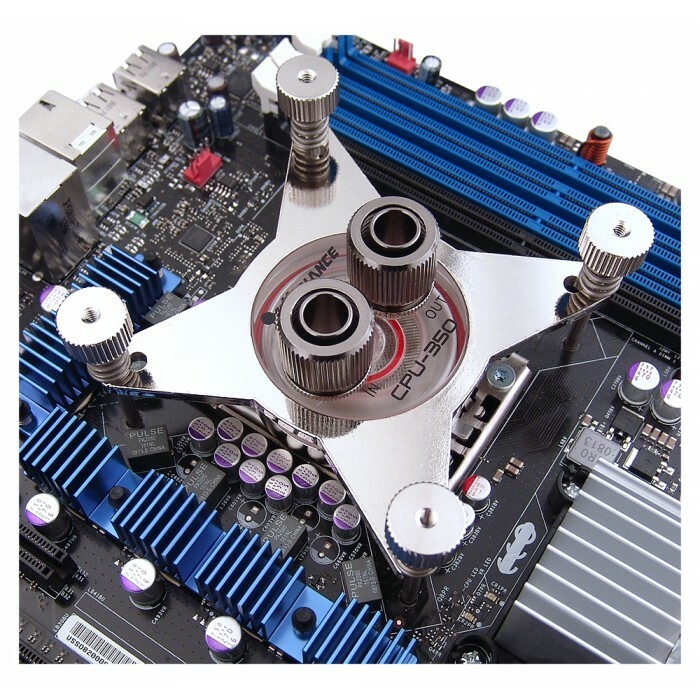 It performs best in systems with a strong pump and few water blocks. 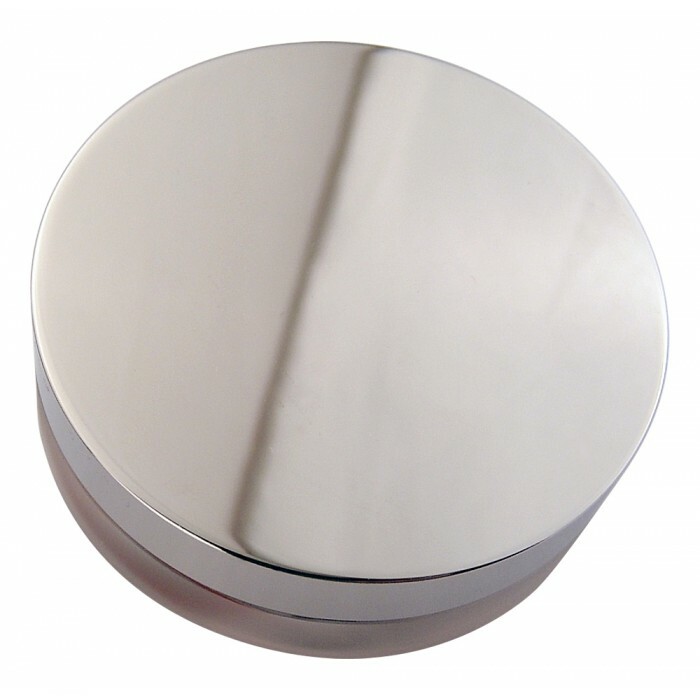 Materials include a high-density solid copper cold plate, anti-corrosive nickel plating, and a transparent acrylic (model CPU-350AC) or opaque acetal (model CPU-350AT) top. A steel universal bracket maximizes heat transfer with precision contact. 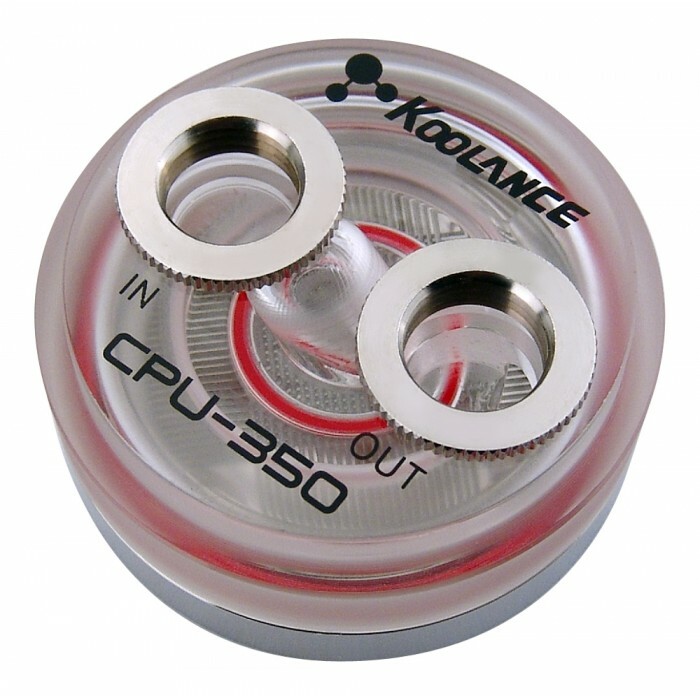 The CPU-350 has standard G 1/4 BSPP threading for any Koolance fitting diameter. Please select the desired fitting type for this base model (it does not include fittings). Two types of rear insulating pads are included. The CPU-350 is not permanently sealed and can be opened. For best temperature results with the CPU-350, please see the Koolance Optimization Sheet.